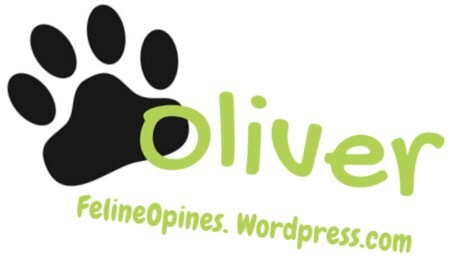 Oliver here. Before I tell you our story, full disclosure. The female human went to a place called #BlogPaws where she received bags and bags full of stuff she calls “Swag”. We’re reporting on some of the things these generous companies gave to the human but we must be clear, the product was free but we’re not payed for our opinions. 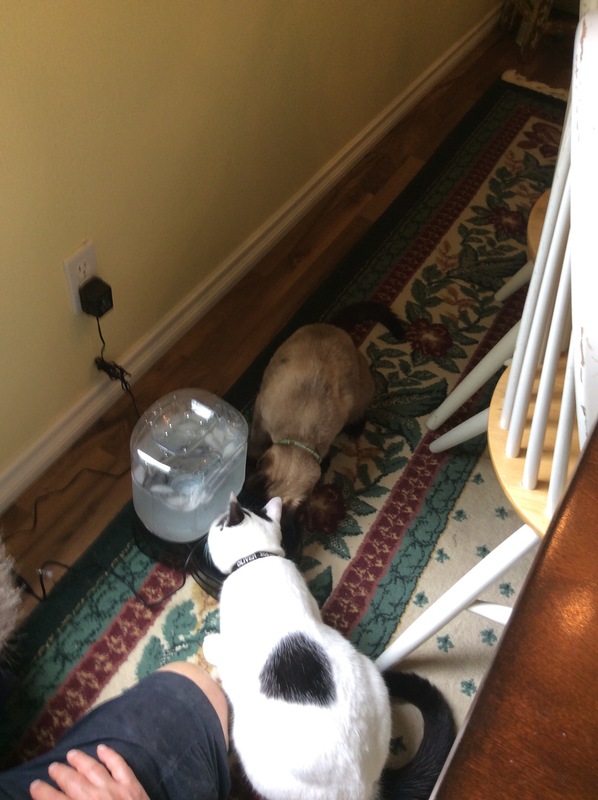 So, both humans are a bit embarrassed about the feline water drinking situation in our house. 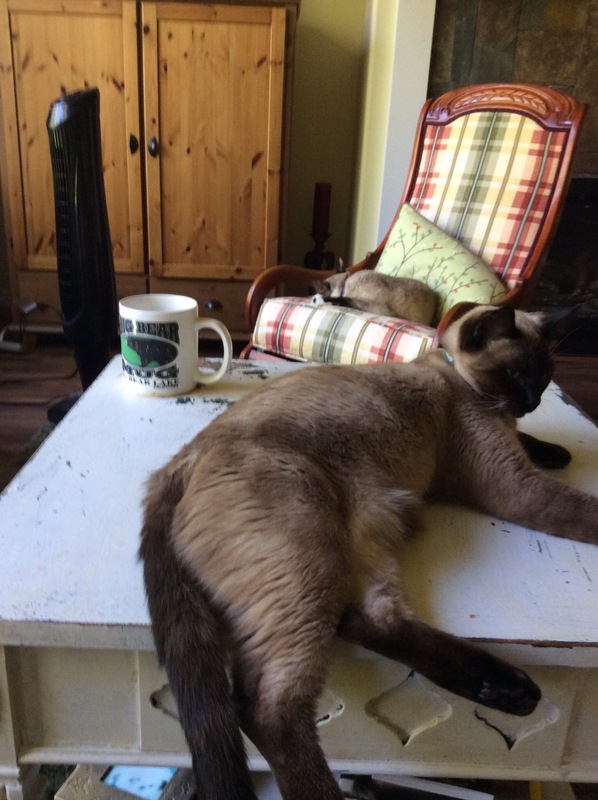 The #TribeofFive prefers sipping from a cup prominently displayed on the human’s coffee table. This creates some embarrassing moments when the humans entertain “non-cat” people. (Although why they would entertain anyone who is not a cat person is beyond me). The female human brought home a gift from #Petsafe called the Drinkwell Hydrate. 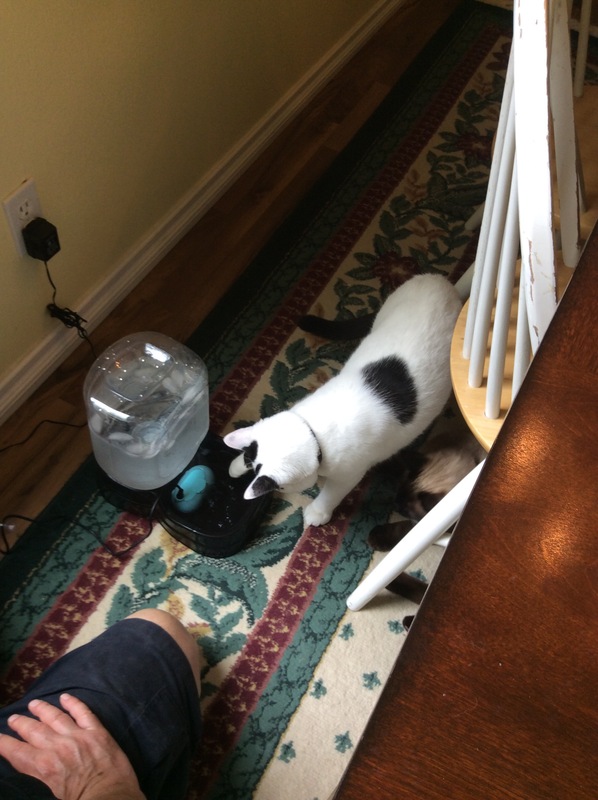 The humans purchased a drinking fountain set up, put the #PetSafe H2O filtration inside and waited for the reaction. I was the first to take a drink. I think it will be awhile before the rest of the tribe figures out how cool this is. I’m glad at least one of your crew tried it. When I went to DC I got one of the Petsafe water fountains. Neither one of my dogs would drink from it! 🙂 I suppose I should take it down and try it again, or I need to get rid of it. I think it’s a process.. Gotta’ give it time. Ummm… question. Why are your humans entertaining “non-cat” people??? Anyway, glad you were brave enough to try the bowl with the filtration system! Tucker here, I’ve often wondered the same thing. 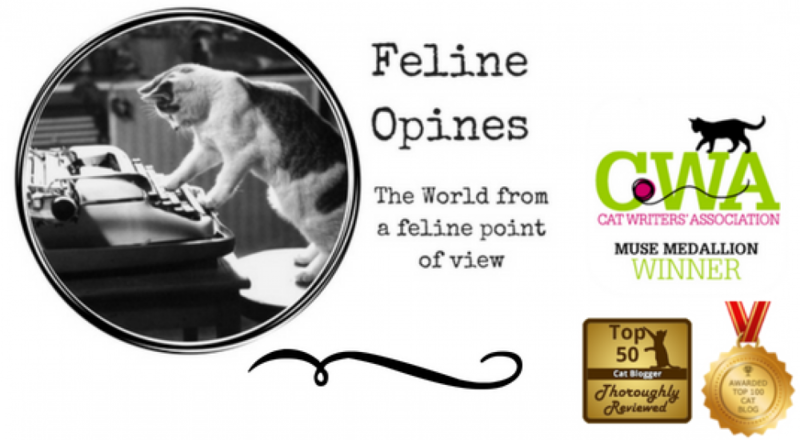 We felines outnumber the humans and we should be able to vote on who is allowed in our inner sanctum! Wow…this system sounds super. I must ask who the handsome Siamese is as he has my colours. Alberto here. Thank you for your kind comment. I’m the Siamese but the crazy thing is I am Oliver’s brother (the black and white guy). Go figure. Oliver and I came to the humans house as fosters and we’re here forever now. Waving paws of friendship to our Canadian feline neighbors . We are 60 miles south of the Canadian border where we live in the Inland Northwest. Well, you two are unique Alberto. Great to have friends in Washington state. At least that’s where we think you live.